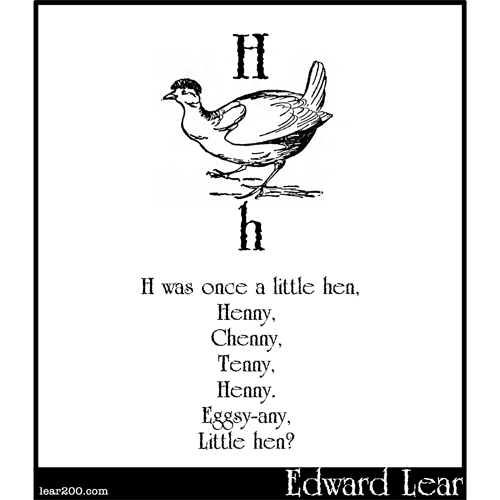 H was once a little hen | Edward Lear: Two Hundred Years of Nonsense! Henny, Chenny, Tenny, Henny. Eggsy-any, Little hen?